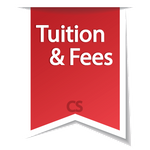 Click Here for more information on our Pricing Structure! No previous tumbling required. 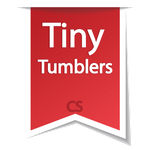 This class is designed for children ages 3-4 that are potty trained and want to learn the basics of tumbling. It is an hour long class to help children develop great motor skills and basic tumbling skills in a creative and fun environment! We will work on basic tumbling skills such as cartwheel, forward roll, backward roll, handstand variations, round-off and back bend kick-over. No previous tumbling required. Will work on basic tumbling skills such as cartwheel, forward roll, backward roll, handstand variations, round-off and back bend kick-over. 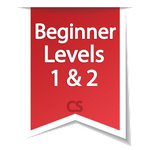 Must have mastered skills required for the Beginner Level 1. Athletes will work on standing back handsprings, round-off back handsprings, and front handsprings. Must have mastered a round-off back handspring. Athletes will work on round-off back handspring series, front handsprings, and back tuck technique. Must have a series and will work on round-off back tucks and round-off flip-flop backs, as well as punch fronts and jump-tumble combinations. Must have mastered skills required for the intermediate level. Students will work on standing and running tucks, lay-outs, full twists, and front tumbling. They will also work on jump-tumble combinations. This class is for ELITE Level Athletes Only. 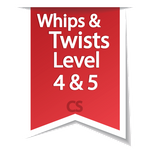 Whip Passes, Fulls, Double Fulls and Elite Combinations will be taught in this class. Athlete must have a strong lay-out to attend. Please get instructor approval to attend. This class is for students that must master the standing back handspring quickly! If you are looking to build arm strength, stamina, and shoulder flexibility for standing back handsprings, then this is the class for you! This class is for students for ages 5-18. It combines cheerleading, jumps, tumbling, dance, conditioning, and more! This is the perfect class for athletes that are interested in learning ALL aspects of the sport of cheerleading! Great for try-outs or just to get your feet wet in the sport of cheerleading! 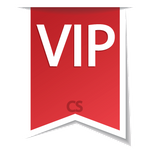 Are you VIP? Your wish is our command with our new VIP Classes. 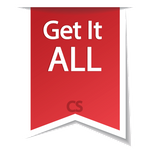 Save money by sharing a class with a few of your friends. It's less expensive than a private lesson, but so much more FUN! The class is limited to four athletes, so sign up quick, there are very few spots available. Do you need to get ready for upcoming School Cheerleading Try-outs? Learn the proper way to try-out in this fun and original class. Learn cheers, try-out entrances, exits, try-out tips, tumbling and jump incorporations, dance and more. Do you wanna know what the judges are looking for during a try-out. Learn the secret of try-outs from THE PROS! Sign-up today, start cheering on the sidelines next season!!! Did you know the only unique skill to cheerleading is the "JUMP". Thats right, many other sports have leaps, acrobatics, tumbling, etc.....but only CHEERLEADERS needs to master Jump Skills. 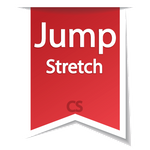 This class is designed to make the athlete the best jumper on the team. Work on flexibility, strength and jump technique in this original cheerleading skill class....JUMPS! This class is a "drop in anytime class"! No need to register for the entire month! If you need that ONE skill to put on the mat ASAP? 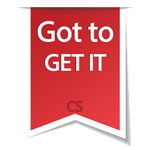 Come to our Got to Get It Class and focus on the skills YOU NEED! This class profiles skills so that the athlete is able to master the skill quickly and safely! Please check with the office for availabilty. 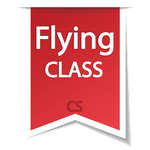 This class is for athletes interested in learning how to "fly". Students will learn basket toss technique, group stunt technique, and proper dismounts. This class is very popular and fills up fast! 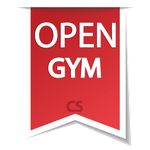 Come to one of our Open Gym Sessions to get MORE mat time and additional coaching! No Running Allowed! 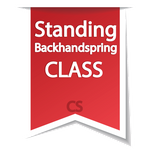 This class is for those that have mastered the backhandspring class. Build strength by working intermediate to advanced level skills from a standing position. Remember, you must have a backhandspring to attend. Students will work on standing backs, backhandspring backs, series to tucks, etc. If you wanna build up skills for All-Star Comp Teams or the School Sidelines, this is the class for you! Want to know more about the longest running Cheer and Tumbling Program in the United States! Click Here!